As one of pop-punk’s most beloved bands, Say Anything rose to fame during the peak of the scene’s early-mid 2000’s success. They weren’t merely the beneficiaries of a booming genre, however; the band helped define what pop-punk meant, and they continue to influence up-and-coming artists spanning multiple genres today. Their work ranges from silly/borderline offensive to earnest and heartfelt, but for the most part Say Anything are just a damned happy band. At their best, they’ve featured intelligent, addictive, irony-filled lyrics with diverse, catchy melodies that leave nary a space for filler. 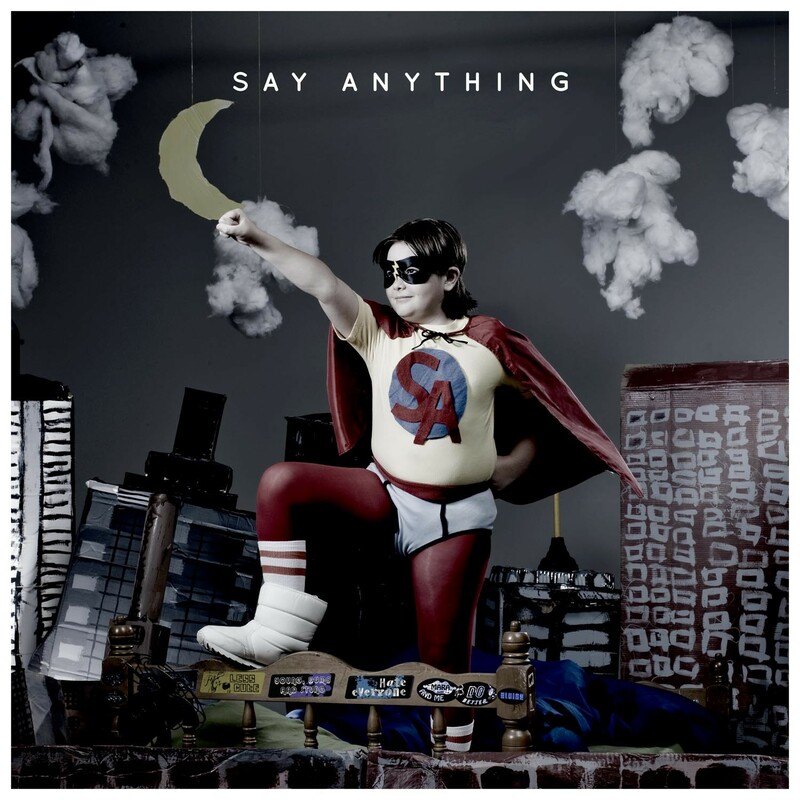 Say Anything were – and some may argue still are – a staple of the pop-punk genre that will always resonate with fans. As a result, our staff felt compelled to rank their top ten songs in a definitive list. Feel free to agree or disagree in the comments below – or just jam the spotify playlist and sing along at the top of your lungs. Admit it (!!! ), you know you want to. “Cemetery” has one of the best bridges by a band that generally writes the best bridges in popular music. For years I’ve been meaning to write a blog post about how every single song on Is a Real Boy… has a killer bridge. 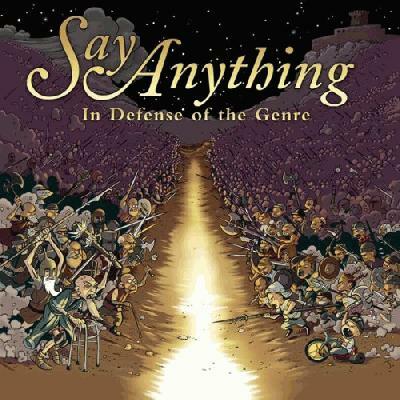 The rest of Say Anything’s discog has some strong bridges as well, particularly “Cemetery.” And by bridge, I, of course, mean the “falling asleep at the wheel” portion of the track. Like many Say Anything tracks, “Cemetery’s” bridge is the best part of the song. Something about how Bemis’ bridges either dismantle or open up a track, and the fact that the bridge is not repeated in the song structure – it’s powerful in the sense that it feels like the connective tissue of the song. A bridge is only as good as the whole song, and “Cemetery” is a worthy sing song emo anthem that was surely written while Max Bemis was crying. –Trebor. The things that I have found so irritating about Say Anything’s last several albums – basically, everything about them – once were used to great effect in “Admit It!! !”, years before Max Bemis would try to cash its good will in with “Admit It Again”. 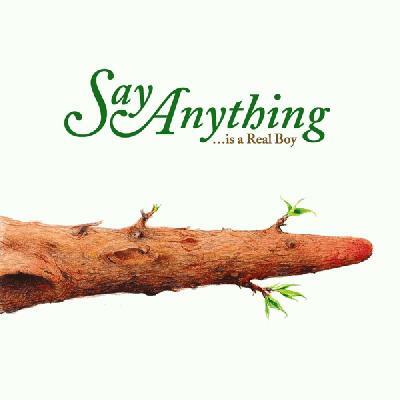 It is not my favorite Say Anything song, but it does seem to be the quintessential Say Anything song, the track that encompasses everything that Bemis was trying to do with …Is a Real Boy and everything that he has largely failed to do since. It is saved from puerile preachiness by its carefully crafted, hyper-specific references, and it is saved from meanness by Bemis’s willingness – eagerness, even – to turn his critical eye on himself. Most of what makes Say Anything great is the way Max Bemis delivers his lyrics. The lyrics themselves are often ridiculous and sort of dumb, but the way they flow and the phonetic aesthetic of the words make for the kind of zingers one could print on an edgy Hot Topic t-shirt – in a good way! “Do Better” is the prime example of the said phenomenon, containing an awful Debra Messing/Will and Grace joke sandwiched into lyrics about believing in an afterlife; it’s all a bunch of nonsense, but there’s a sort of poetry to it. Lines like “Guiding Satan’s steady hand / forcing Beatles to disband / It’s ego freaks and drama queens / the young at heart know what I mean”, and “It’s disgusting how little that you try / the existential equivalent of pink eye” sound really cool as long as you don’t think about it at all. It helps that the production of Say Anything’s self-titled album is exemplary. The sound of the clap/snare and the record noise on the kick drum hits, and the strings, and all the little sounds and tones blend perfectly with Max Bemis’ commanding voice. The guitar solo on the back end of the track and the way it sounds all chopped and screwed stands as one of the most innovative solos in recent memory. Recording almost an entire pop-punk song with string instruments still boggles my mind, there isn’t a single guitar note played until 2:18 into the track and it totally works even though it shouldn’t. I used to think Say Anything is too squeaky clean and poppy, but it broke me down at a certain point and I now consider the best pop record of the oughts, and “Do Better” is the shining example of the record’s greatness. –Trebor. It’s no surprise that …Is a Real Boy tops this chart. Every year’s average rating for that album has been above a 4.0, oddly enough with 2018 being the exception. It’s interesting to follow the trajectory of each album into the present year, because it seems that the band as a whole is on a downward slope as far ratings go – Is a Real Boy, the self-titled album, and Baseball all took a sharp nosedive at the end of the graph. Even weirder is that Anarchy, My Dear – typically renowned as their worst record – saw a slight uptick in the ratings it received in 2018. There’s probably a good explanation for this…maybe it’s that pop-punk is ever in decline, or perhaps it’s merely an incomplete sample set considering that we’re not done collecting user ratings for this year. In Defense of the Genre has steadily been the Robin of the discography to Real Boy‘s Batman, riding the #2 line consistently. Say Anything and Hebrews tend to occupy the middle, amid some spikes and dips over the years. The most striking takeaway might be the disparity between Say Anything’s best release and their worst – …Is A Real Boy so consistently garners annual average ratings at or above the Excellent (4.0) mark, whereas the reviled Anarchy, My Dear has never gone much above Average (2.5), at times even threatening to descend below the Poor (2.0) mark. For an even more in-depth look, see the below chart (Figure B) for each album’s “Trve Fan Rating.” This is basically what each album’s mean rating would be if you were to go exclusively by only those who have rated every LP in the band’s discography. Please take this playlist as a token of love – glorious love, of course – from the Sputnik Staff to you. Add it to your own Spotify account, share it on social media (shameless self-plug), blast it in your car with the windows down, or re-order it if you think that you can do better (whoa oh oh). But either way, it’s here for you to enjoy. Thanks to everyone who contributed to this! yellow cat red cat is clearly their best tho! It's a shame every single track from iarb isn't here, list limitations be damned, but some great writeups, as were those for the national. GJ. Relate to that transition with chia like and slowly through a vector. The latter in particular. Ok dats nice...now Converge next! Nice to see love for Woe, that was always one of my favorites if not my all time favorite from Say Anything. Used to really love these guys, but their recent offerings made me fall a little out of love with them. Still enjoy them, and think ...IARB, IDOTG, and their self-titled are amazing. Dope write-up. I was really surprised when I saw this existed. I didnâ€™t care much for their recent album, but Hebrews is really underrated.